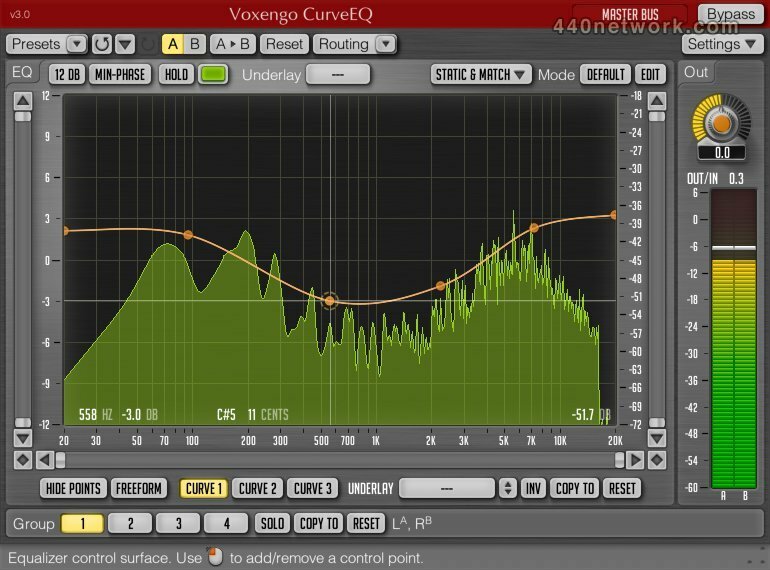 CurveEQ is a linear phase spline equalizer. - Actual filter's frequency response plot. - Input and output spectrum plots. - SpectruMatch spectrum matching technology. - Vintage processor and saturator. - Factory presets (where available). - Highly optimised assembler DSP. 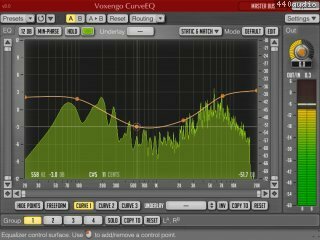 - Mono -> Stereo, Stereo -> Stereo processing modes. - Output spectrum averaging mode. Added "Brown", "White" and "Cyan" color schemes. Made internal channel names start at "C" to reduce confusion with the A/B comparison buttons. Implemented minor graphics performance optimizations. Control points can be now added by simple dragging. CPU load decreased by 20%. Fixed the "Underlay" selection issues. Routing is now configured automatically in most cases. Crash when a control point was close to the maximal or minimal frequency fixed. Now static spectrum can be loaded from a WAV file directly. Spectrum matching is now working correctly in all groups. The "Load CSV" and "Save CSV" text file functions added.